It says that the population of London is growing so fast that town centres outside the London boundary may be taken over and transformed into London boroughs. 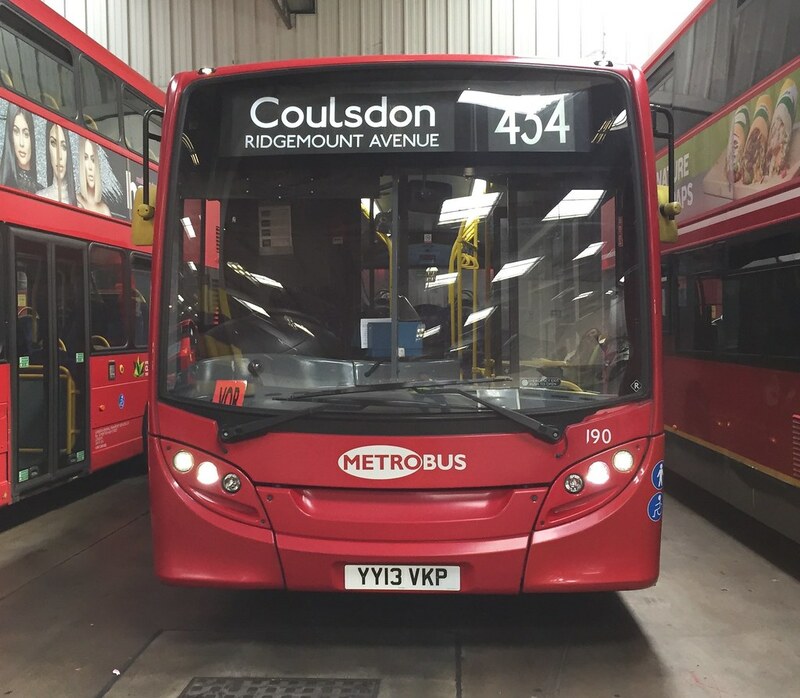 This would mean TFL taking over transport in places like Epsom, Potters Bar or even Brentwood. 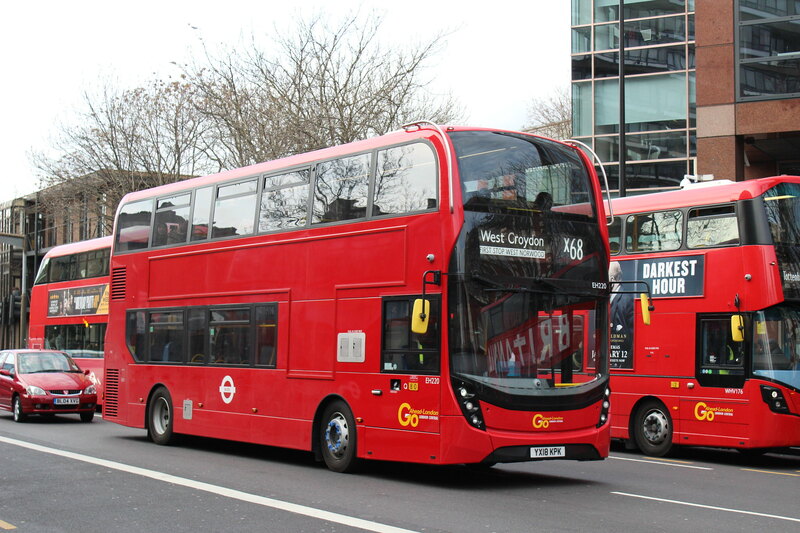 So, if this really was to happen and TFL was to take over the routes currently outside the London boroughs then I'm sure routes like the 466 would be extended to Caterham Station with major changes to the 409, or maybe some of the other routes in Epsom being extended to maybe Leatherhead. the fans won't last long... we would have to use Borehamwood's DWs instead. But I'm sure the X25 would be a good circular route. They have to put the fuel pumps in at HE first, sending drivers into the local Tesco next to Sky in Isleworth to refill the DWs will be too time consuming. Let's see - Bexley, Havering, Bromley, Hillingdon, Kingston, bits of Croydon, bits of Barnet, the taxi drivers republic of Chingford? How I would love that !! Doubt the council would agree, though - Heck, they don't even want London-style bus stops in their territory! Bexley is interesting, to me it seems the further north and west you go, the more affinity there is with London as opposed to Kent. The affluent areas in the middle are Kent wannabes and the southern pieces around Biggin Hill & Cudham actually should be in either Kent or Surrey. Orpington & The Crays are similar to Medway / Swanley. No, no daarliiing - Dulwich Village wants to be part of South Kensington and Mayfair. Yeah Chingford people always say their address is Chingford Essex not London E4. I have a VERY long list of various different extensions, some of which would involve integrating routes and using numbers on new routes. Long story short- I want to recreate the very long routes of the '30s-mid '60s, such as the 4 extended to Canada Water, 72 from Acton to Tolworth, and a 'new' 82 running between Limehouse and Surrey Quays (would be very frequent 4-5 mins with around 20 Solo slimlines). Alternatively, or concurently, I would extend all night routes to their day equivalents. 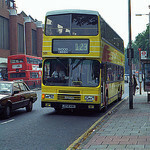 2) If it was a proper 'transit' system then at the very least used guided buses. Using bog-standard B9TLs with a little bit of orange tinsel is just pointless! The 369 has been gone for about 4 years now.